A charming and sophisticated take on traditional appliqué, Hills 'n' Hollers brings beauty 'n' comfort to any locale – whether you're in the big city or down on the farm. 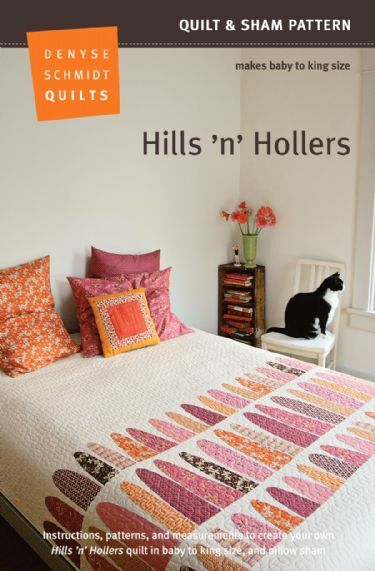 Create your own Hills 'n' Hollers quilt with the vintage-modern charm of Denyse's fabrics.10-12 assorted fat quarters will make up to a king size quilt. All DSQ patterns includes easy-to-use instructions, patterns, and measurements for baby to king size.